GATE 2019 CCMT Counselling has been started from 8th April 2019. GATE (Graduate Aptitude Test in Engineering) is a national level examination. This examination is conducted by the Indian Institute of Technology, Madras. Through this exam, students can get admissions in various PG courses offered by IITs, NITs and many other institutions. GATE Counselling 2019 Procedure will be managed by the CCMT (Centralized Counselling for M.Tech./M.Arch/M.Plan. admissions). Here in this article, we are providing details regarding GATE CCMT Counselling 2019 including registration, participating institutions, seat matrix, last year cut off (institution wise) and admission procedure. GATE 2019 CCMT Counselling (Registration & Choice Filling) has been started from 8th April 2019. Click here to register. CCMT is an online admission procedure for all NITs (National Institutes of Technologies) & and several other Centrally funded institutions. These institutions are IIIT Allahabad, IIITM Gwalior, IIITDM Kancheepuram, SLIET Longowal, NIFFT Ranchi, PDPM IIITDM Jabalpur, SPA Vijayawada, Central University of Rajasthan, Institute of Technology & IIEST Shibpur. The counselling registration has been started from 8th April 2019. It is organized on the basis of GATE score. Candidates must have a valid GATE 2017/2018/2019 score card. 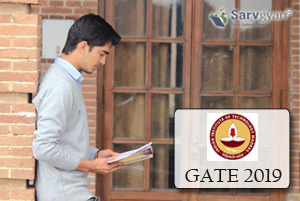 GATE 2019 Counselling is held in three rounds through online mode. For seat allotment, candidates first have to register for the GATE CCMT counselling 2019. During counselling registration, candidates have to fill choices of courses/colleges according to their preferences. On the basis of the rank, filled choices & availability of seats, the seat will be allotted to the candidates. After seat allotment, candidates have to submit seat acceptance fee & confirm their seat. Candidates have to report at the reporting center & verify their documents. Then, candidates have to report at the allotted college & pay the admission fee. In this step, candidates have to register themselves in the CCMT website and pay the registration fees. The fee can be paid through online mode by using SBI MOPS (i.e. Net Banking/ Credit Card/Debit Card or through e-Challan). The registration fee will be Rs. 2200 (Rs. 1700 for SC/ST/PwD). After fee payment, candidates can fill their choices of programmes. Candidates are suggested to lock their filled choices during the counselling process. Candidates can also take assistance of the Help Centers for registration and choice filling. Seats will be allotted seats on the basis of choices filled and merit. After seat allotment, candidates are required to deposit the seat acceptance fees (Rs. 20000) using SBI MOPS (Net banking / credit card/ debit card or through e-Challan). After that, candidates have to report personally to the reporting centre as per the given schedule. Candidates have to produce their original documents for verification at reporting center. They have to submit self-attested photocopy of documents & Seat Acceptance Fee payment proof. After document verification & seat acceptance fee, candidates will be issued a Document Verification Certificate (DVC). Students who have been seat allotted are required to complete the provisional seat confirmation process by paying the seat confirmation fee (Rs. 10000). Any other balance fee will be paid to the respective allotted college at the time of admission. After the payment of a seat confirmation fee, candidates will be able to download the provisional seat confirmation letter from the website. After that, students can report to the allotted college with required documents for taking the final admission. Original Birth certificate issued by competent authority/Class X (High School) Board Certificate as proof of date of birth. Three Passport size colored photograph. Original Conduct Certificate from the Head of the institution last attended. Original Course completion certificate from the Head of the University/Institute in case result is awaited. If you have any other queries related to GATE 2019 CCMT Counselling, you can ask us by leaving your comments below. Sir/Madam, I got 42.44 marks, my gate score is 432 and, rank is 20081 in MECHANICAL with this score/marks am i eligible for any NIT? Check the cut off for nit. CCMT is an online admission procedure for all NITs (National Institutes of Technologies) & and several other Centrally funded institutions. Sir i have 29.6 marks in gate electrical branch.i am belongs from sc category.Sir is there any chance for got admission in NIT. Check the cut off of NIT for 2018. I’m trying to get admission for mtech through ccmt in O.B.C quota, I have my old cast itificate also a validity certificate, should I bring the new one for this admission ? Go through the instruction given for attending the GATE certificates. I have achieved 36.22 marks in GATE 2018 civil engineering can I get admission in any NIT. Its depend upon the cut off released by the NIT. Can I get seat in nits ?? Its depend upon the cut of marks. Sir while applying I put myself under reservation category and got qualified.But to my surprise im not under reserved category and marks are less than the cutoff for OC.While verification am I going to disqualify from the gate. I belong to OBC category.. on which m.tech college I should apply.. please answer…? Every college have their own cut off marks for offering admission. You should check the particular college website to know their cut off marks or admission eligibility criteria. i got 19.67 and score is 287 in cs.kya mujhe delhi me koi government college ya koi nit college mil jayegi? I belongs to sc category. It will depend upon the cut off marks. It is difficult to get NIT in with these marks. sir I have a doubt on the marks vs rank on gate this year. I think this is not normal distribution. some thing is not correct.how to proceed on this legally or otherwise. I have scored 65.85 in GATE 2018(Mechanical,697 out of 1000) and my rank is 3999.Is there any hope for me in getting any IIT’s with good branch?. Or Can you please refer me contact of any person who is experienced professional and does counselling every year. You should check the cut of marks for admission in IITs. What is the score card of Ccmt? sir i have secure 42.11 marks in gate 2018 me obc category is there any chance to get good nit. like trichi ,warangal ,suratcal ,callicut ,goa . Its depend upon the cut off marks for various NITS. Please sent my marks obtained in gate 2018. Im trying for ee -gate 2018. Cut off will be released later. Sir,i lost my registration number.. I got 25.40 in gate score in general category can i get any nit. Sir l am nit m.tech 1st year student, but I am not satisfied his m.tech result. What can apply for admission any nit this year? Sir, i have got 21.3 matks in gate 2017 from GE category. There are any chance to get admission in nit. sir i got 321 score in gate in civil engineering,can i able to get any nit. Hello sir,I scored 16.26 in GATE(EC),I belonged to SC category in state of odisha But GATE(EC) qualified cutoff mark is 16.70 .Can I download GATE rank card & admission M-TECH in any National Engineering college? I am getting 15.07 score in gate exam belongs to sc category . can I eligible for M.E| M.Tech counciling admission. Sir I have qualified the gate 2017 exam through OBC now I m applying for ccmt counseling but it shown that you are not a authorised candidate ????….. Sir I got 16.18 mark in mechanical engineering (2017).I am from obc candidate. Now what do next, please suggest me. Without gate scoring mark is it possible admission in any iit or nit? Please help & suggance me. Why is CCMT 17 not accepting GATE scores of 2015, As mentioned in GATE score card, it is valid for 3 yrs, also IIT’s are taking GATE 15 score as valid, why ccmt is missing on it. I would be losing on my career dream of NIT colleges. Please do help. Can you also give any CCMT helpdesk number to get help from? Hello sir, I scored 24.44 in GATE (EC) and qualified under OBC category. I belongs to OBC category in state Karnataka but not in central list. Am I eligible to appear for CCMT counseling through GATE. And is Birth certificate is compulsory during document verification. Sir i got 45. 29 marks in gate from mechanical and gate score 480 then, can i get any iit or nit ? My score is 524,marks 39.17, general category,electical branch…which IIT or NIT I can get admission? I am from obc category but i fill the form as general category now i have qualified as obc. What can I do now please help me sir or mam. Is there is any alternative of birth certificate as age proof? Expected Dates for CCMT counselling to start? WHEN WILL CCMT PROCEDURE STARTS? My AIR is 9841 and score is 435 & marks 36.87. I am Oc candidate.but I applied as obc in gate.what I have to do after qualifying gate? I got 27.44 marks gate score 336 obc civil branch kya nit mil skti h??? Hi, my name is YASH AGRAWAL. Do we have to apply for each iit and nit individually or the whole admission procedure will be done through CCMT councelling process. Hi Im having doubt. i.e want to know the validity of gate score? came to know dat 3 years as mentioned. is it same for joining PSU’s? ?